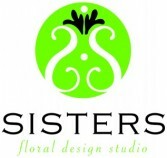 Funeral Flowers from SISTERS FLOWERS & GIFTS - your local Brentwood, MO. 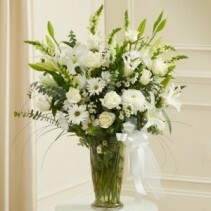 May specify preferred colors, if any, and we will customize an arrangement for you. For more pricing options, please call the store. Flowers are a way to commemorate life's most significant celebrations. From birthdays to weddings, they are essential to almost all family occasions. Funeral flowers continue to hold great importance to most funeral traditions and services today. Let SISTERS FLOWERS & GIFTS help you choose the perfect tribute to express your feelings for the departed. We are experienced in delivering to all funeral homes in Kirkwood and the surrounding areas.